In the 1970’s, when I was a teenager in southern Missouri, I remember a favorite TV show called Let’s Make a Deal. 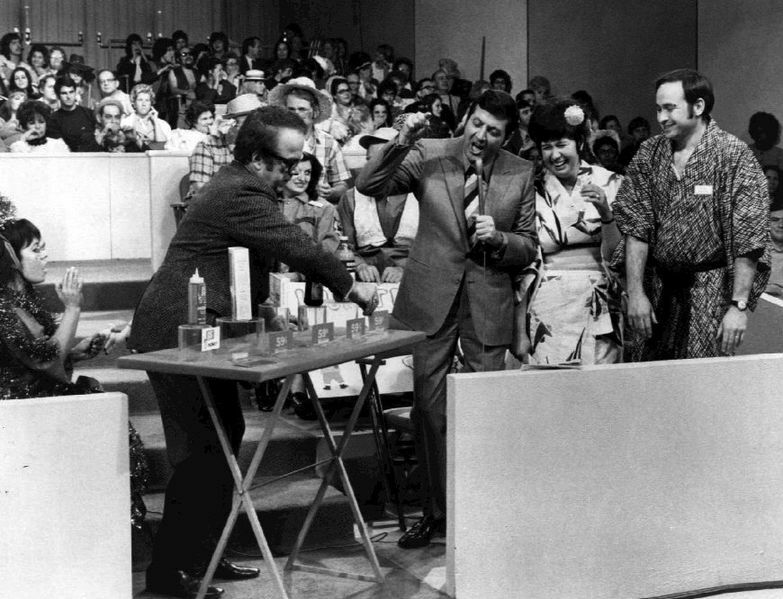 The host, Monty Hall, would wander through the audience and select random people to trade something in that they wore, or brought to the show, for a chance to win a much nicer prize. The contestant would continue to trade until a great prize was secured behind Door #1, Door #2 or Door #3. These lavish prizes might be a kitchen appliance, a new car or a dream vacation. But there was also the possibility of trading and getting a Zonk! A Zonk was an undesirable prize such as fake money or silly, low value items. To gain Monty’s attention, hopeful contestants would wear terrific costumes and cheer and shout in hopes of being selected to play the game. This remembered scenario reminds me of my own situation. An international teacher begins searching for jobs in late autumn for the following year. Job recruitment fairs start in December and January and for many teachers, their teaching career is a series of two or three year posts in a variety of countries. Faculty members and administrators move around as much as the students and their families do. The teacher starts playing Let’s Make a Deal as the hopeful contestant, dressing up cover letters and resumes in ways to gain attention. I’ve been able to fulfill my heart’s desire by teaching in an international school in one of the great cities of the world. I traded in an American lifestyle that I had become complacent with and I’ll never regret it. I’m now thinking about the trade again and am peeking behind the doors to see the prizes. Door #1’s prize is to stay put. Continue to build an art program for over 50 nationalities of students that I have developed a great love for. The prize behind Door #2 is the likely possibility of moving to a new country and teaching at a new school, getting to meet interesting new people and gain an even deeper understanding of the world and myself. But Door #3 holds quite a surprise! I have a daughter who is now a grown woman. Last weekend, a man who loves her deeply asked her a simple question, “Will you marry me?” When she responded, “Yes,” I unexpectedly got homesick to be with my girl. Door #3 holds the prize of moving home, to help plan a wedding. As I told a friend today, my problem is that I have too many options, and what a gift this is. There are so many who don’t have any options. What are your prizes? What are you willing to trade this Thanksgiving week? Anita – Not sure exactly how I stumbled across your blog but it was exactly what I needed. I am a Canadian art teacher with many years experience teaching at home but trying to break into international teaching for the first time. I love that you talk about the many years it took to make your dreams a reality – I’m totally there. As I am a few years older than you I am wondering if schools are hesitant to hire a seasoned teacher? Do you have any tips on getting hired – so far I have sent 25 resumes and heard almost nothing back. Thanks for the inspiration…and what have you decided to do? I was thrilled to get your response. I have added myself to your email list. I am living vicariously through your adventures in your blog – really accepting the job in Istanbul and selling your house the same day…..the pics of your classroom….the idea of starting over new each September……your student Brandon missing you…..I wish you all the best in whatever you take on as your next challenge! PS I have just registered to go to two of the Search job fairs. Fingers crossed! You will get a job!! Please keep me posted! Are you willing to go anywhere? I wish you would email me. I have some information that might be useful that I don’t want to publically share. Good luck!!! How exciting, Anita! I’m so happy for your daughter. What a terrific metaphor you’ve used for where you are at with your options. Dear Anita; I worked in Düsseldorf Germany teaching Art in the PYP and do not regret staying there for 11 years. I was in a great situation and able to travel around Europe. The professional development at ISD was very well supported. My family visited me often . It was an opportunity for them to travel as well. I was however 53 when I started my adventure overseas. I did not have the same need to have adventure and see the world as a younger person would as I had travelled when I was in my 20s. I loved the European lifestyle and could have stayed permanently but returned to a wonderful part of Canada and as well to be nearer my adult children. I enjoy my life in Canada with wonderful out door experiences and living near the ocean and enjoy the pleasures of a small town. Not a bad idea to stay for another year and reap the benefits of your hard work the past few years. You can as well do all the planning with your daughter on the internet and over Skype. Good luck what ever you choose. My dearest Anita, Door 3 has a memory bank which will endure. Other doors are not closed, just postponed. Great post! Thanks for sharing your lovely choices! I love the Let’s Make a Deal metaphor! Helen, thanks! I sent Patty an email that I asked her to forward to you. Eventually you’ll get it!! Do u have my email? If so email me and I’ll send to you direct.